The holiday season is approaching quickly, and with it, an overwhelming feeling of jubilance and merriment. As children, we remember the Christmas season as a period of fascination, joy, and good tidings. The weeks leading up to Christmas were a countdown to a celebration with family that was unmatched by any other holiday of the year. The families of Auburn’s past share this season’s magic and beauty with us through the stories and memories of their own Christmas celebrations. This holiday season, the Candlelight Tours hosted by the Seward House Museum will immerse you in the intimate and special Christmas celebrations of Auburn’s rich past. The Seward House, loc ated in the historic district on South Street in downtown Auburn, New York, was built during the period of American history that saw the rise of Christmas as we know it today. In the early 1800’s, a growing religious revival spurred the return of Christmas celebrations in many states. Families started sending Christmas cards, singing carols, preparing special holiday meals, and attending winter dances. Children, including those in the Seward family, received small, homemade gifts such as hand-carved toys, fruit, and cakes. The Seward family even celebrated the adoption of the modern interpretation of Santa Clause, as the symbol of Christmas magic and wonder. In 1861, a German immigrant named Thomas Nast working for Harpers Weekly magazine created an illustration for Clement Clark Moore’s T’was the Night Before Christmas. The resulting character was a jolly, bearded man that gave presents to Union soldiers in camp, who would eventually become the chimney navigating distributer of presents and holiday cheer that we all know and love today. 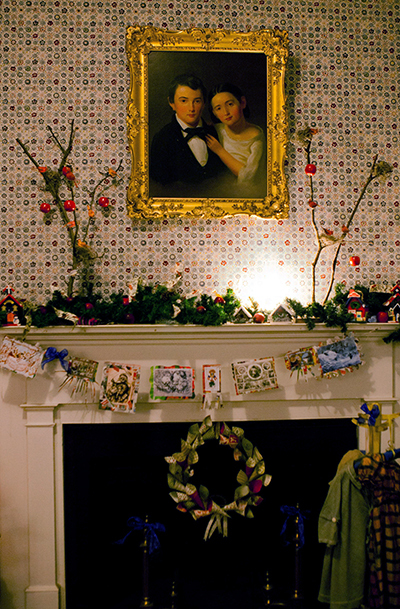 During the Candlelight Tours, costumed actors will interpret William Henry Seward’s family and assume character roles such as the wife and daughter of William Henry Seward, and bring to life the celebration of Christmas in the 1800’s. Set on the night of Christmas Eve, actors will share the stories and traditions of the Seward family, as guests are taken from room to room amidst lavish and beautiful Christmas decorations provided by area florists. Upon the conclusion of this special holiday tour, guests are invited to gather in the Drawing Room to join in a chorus of Christmas carols that ring through the house. The atmosphere created by the costumed actors and decorations, coupled with the backdrop of a rich historical narrative, will surely invoke nostalgic memories. Candlelight tours run at the Seward House Museum from December 5th- 6th, 11th - 13th, and 18th-20th at 6 and 7 PM. Admission is $12 for adults and $10 for children 12 and under. Reservations are required as space is limited. Please call 252-1283 for more information. 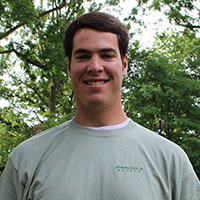 Mitchell Maniccia is the Head Docent and Research Assistant at the Seward House Museum. He earned his Bachelor’s Degree from SUNY Albany in 2014, majoring in History. A native of Oswego, NY he also works at Fort Ontario as a historic interpreter. He is a member of the 2015 class of Leadership Cayuga.